Got Termites? The Pest Force has the solution. Maybe you found some suspicious damage to the structure of your home or pin holes with dirt around them in your sheetrock. You may see dirt or mud tubes on your foundation wall or there may be winged insects fluttering around your room by the dozens. The good news is—you found them. Termites cause millions of dollars’ worth of damage each year in the United States and most of that damage is done while termites go undetected in your walls. 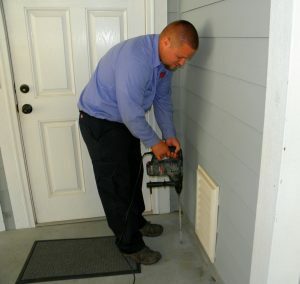 You can wait until you stumble across some of the signs of termite infestation described above or a better approach would be to let a Pest Management Professional (PMP) from The Pest Force conduct a free inspection on your property for active termites or conditions inviting for termite infestation. 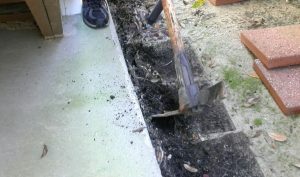 Your PMP will give you a written report of all visible evidence he sees at the time of inspection, but know much of the structure has hidden areas where termites may be doing damage; so it is important to note that even if termites are not found at the time of inspection, this doesn’t mean your structure is free of termites. Our Customer Service Specialist will schedule a free visit at your convenience. Click here to contact us now! 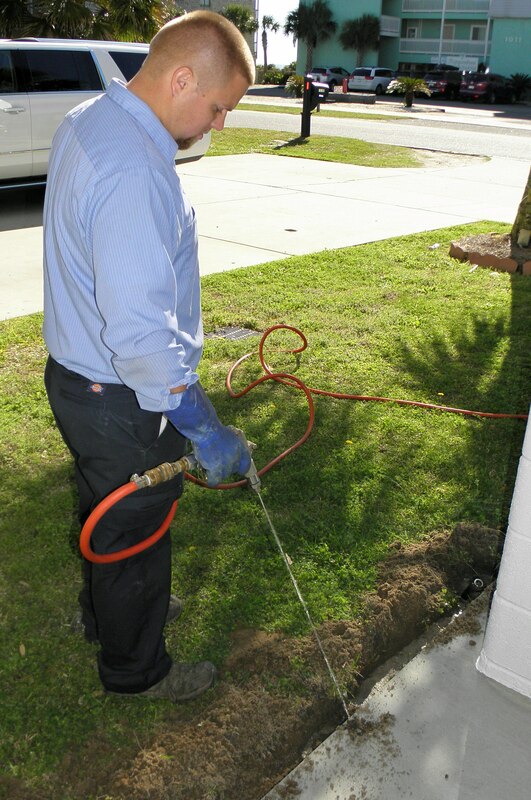 We have Master Termite Technicians with over 27 years of experience here in the Grand Strand. Your PMP studies termite biology and he knows the different ways buildings are constructed in our area. This is important information when the goal is to stop termites from entering your structure and it is vital to have termite protection in place whether or not termite activity is discovered. As we say, it is not a question of if termites will attack, but when. There are a variety of termite protection methods on the market including termite baits and monitors, liquid treatment of the soil, wood treatments, granular treatments and termite proofing materials. These are all tools in the tool box for your PMP. At this time, knowing all the resources available, The Pest Force has found treatment with Termidor liquid termiticide to be the most effective. Treatment involves digging a trench along the exterior foundation wall of your structure, filling it with Termidor, replacing the soil and finally treating the top. Your PMP will drill through attached patios, driveways, stoops, steps, porches, carports, pads and other concrete that may be against the foundation. The ½” drill holes will be 12-18 inches apart. A rod is used to treat the holes and then they are patched with a cement mix. Any interior drill holes will be treated and patched. If the foundation is concrete it is necessary to install a bath tub access panel if one is not present. The area under the tub will be treated. If it is a crawl space foundation the piers, plumbing, tie downs and other areas of the crawl space where termites may try to enter the structure will be treated by trenching the soil around these areas and treating the soil. Any loose wood debris will be removed from the crawl space. All visible and accessible termite shelter tubes will be removed. All termite damage that is detected will be documented along with areas conducive for termites such as high moisture content in wood or wood in contact with the soil. 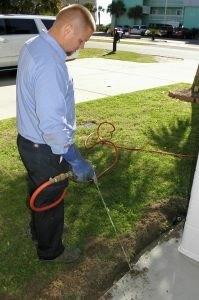 This treatment creates an effective barrier, killing any termites that come in contact with it. This process may take up to three months and lasts ten years. Once the treatment is completed, usually 5-8 hours, you can rest assured that your home is protected by one of the most comprehensive termite agreements available in the industry. The first year coverage is included with your treatment and this can be extended for an additional 9 years. The Pest Force services the following areas for Termite Treatment: Myrtle Beach, North Myrtle Beach, Little River, Longs, Conway, Carolina Forest, Socastee, Surfside Beach, Garden City Beach, Murrells Inlet, Litchfield Beach, and Pawleys Island.